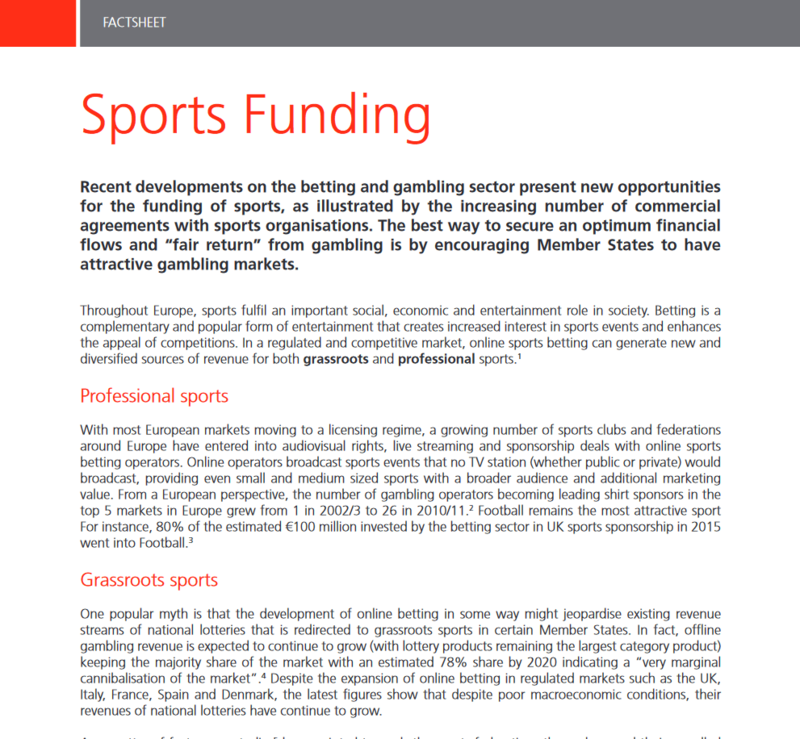 Recent developments on the betting and gambling sector present new opportunities for the funding of sports, as illustrated by the increasing number of commercial agreements with sports organisations. The best way to secure an optimum financial flows and “fair return” from gambling is by encouraging Member States to have attractive gambling markets. 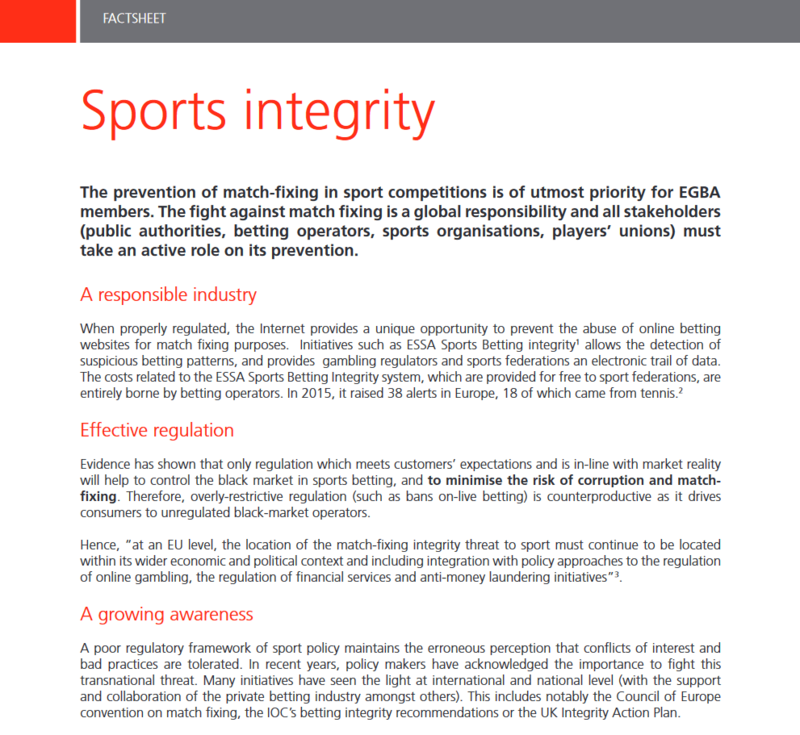 The prevention of match-fixing in sport competitions is of utmost priority for EGBA members. The fight against match fixing is a global responsibility and all stakeholders (public authorities, betting operators, sports organisations, players’ unions) must take an active role on its prevention. 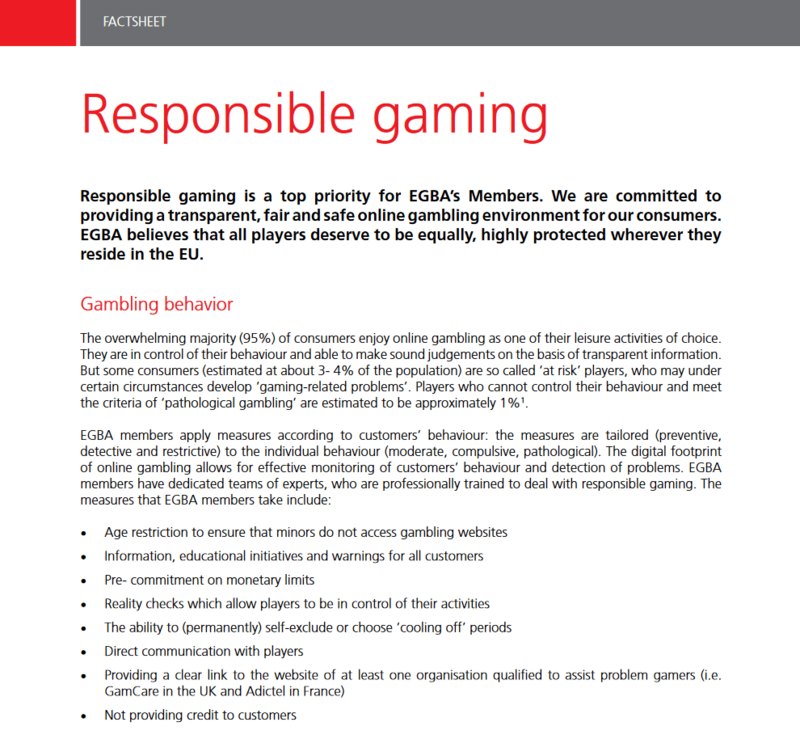 Responsible gaming is a top priority for EGBA’s Members. We are committed to providing a transparent, fair and safe online gambling environment for our consumers. EGBA believes that all players deserve to be equally, highly protected wherever they reside in the EU. 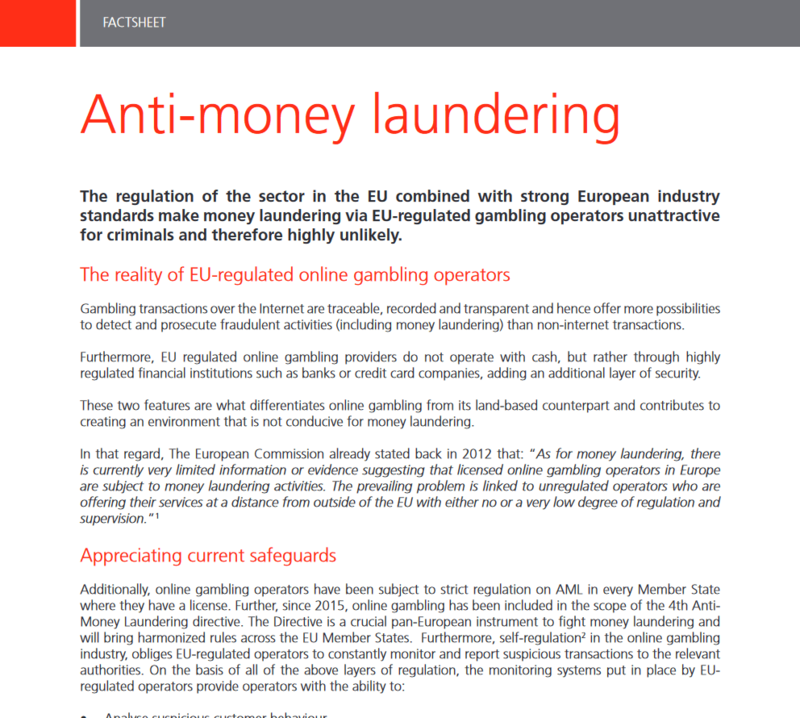 The regulation of the sector in the EU combined with strong European industry standards make money laundering via EU-regulated gambling operators unattractive for criminals and therefore highly unlikely. A safe and secure online gambling market can be best achieved through attractive and competitive regulation in line with EU law. 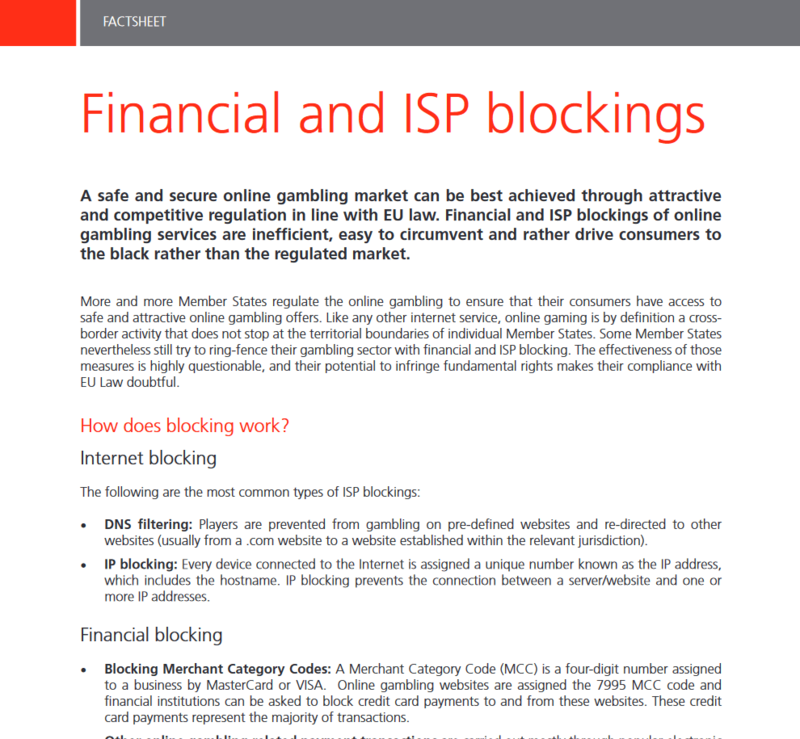 Financial and ISP blockings of online gambling services are inefficient, easy to circumvent and rather drive consumers to the black rather than the regulated market. 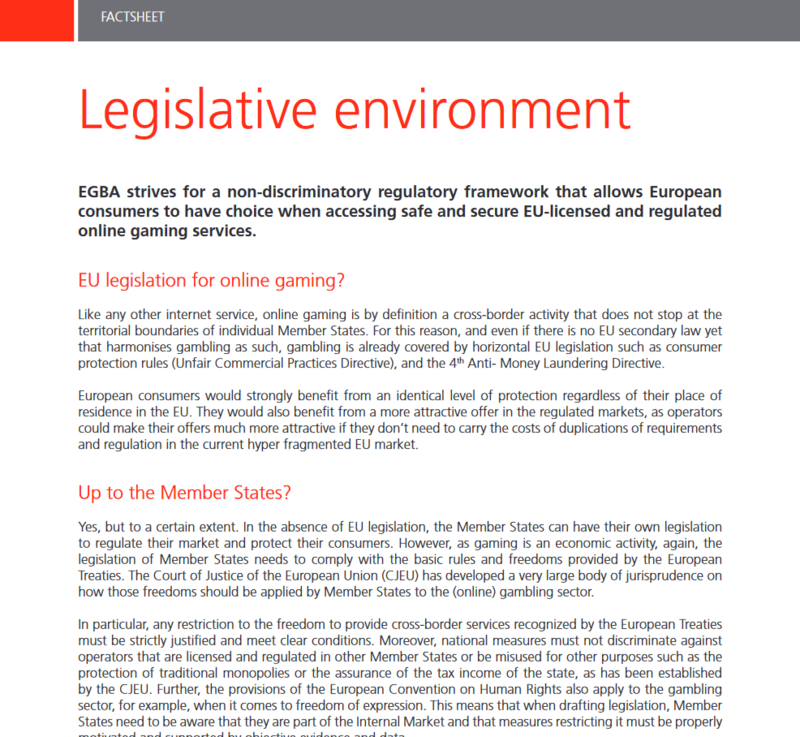 EGBA strives for a non-discriminatory regulatory framework that allows European consumers to have choice when accessing safe and secure EU-licensed and regulated online gaming services.